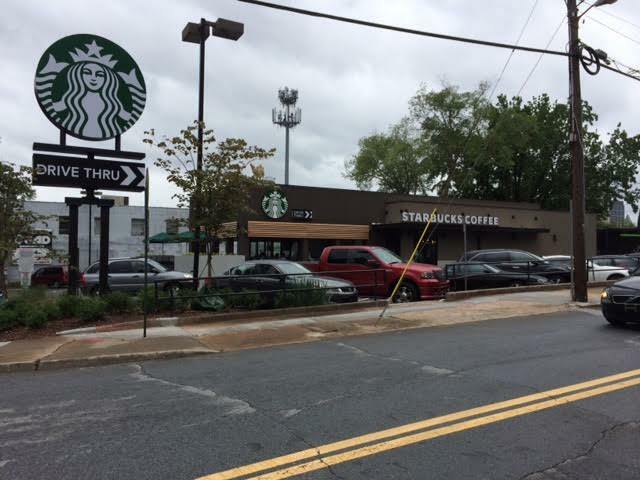 Starbucks Coffee plans to open a new coffee shop with drive-thru in an existing building on Peachtree Road in Brookwood Hills. 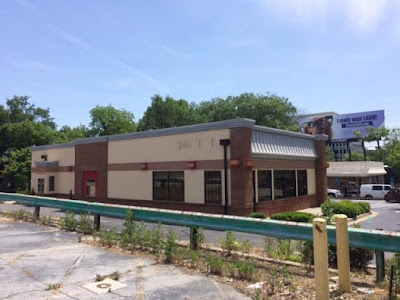 The new Starbucks would occupy the former Wendy's that closed this past November. The 2,540 square foot building would be heavily renovated, including the conversion of some space to create a 725 square foot patio. A Starbucks representative is expected to present the company's plans to the Atlanta BeltLine Design Review Committee later today. Contrary to previous information, the former Wendy's is not part of the upcoming Cornerstone Medical Center. The 3.5 acre development will rise at the intersection of Peachtree and Collier Roads, and require the demolition of the former Harry's in a Hurry, dry cleaners, the Peachtree Road Package Store and Chick-fil-A. Plans call for the seven-story complex to include 145,000 square feet of Class AAA medical office space and 16,000 square feet of street-level "boutique retail" and restaurants. Starbucks is no stranger to converting existing buildings. In midtown near Georgia Tech, Starbucks opened a new location in a converted former Arby's in 2014. In Chattanooga, Tennessee, near Hamilton Place mall, Starbucks converted a former Burger King, and opened a new coffee shop with a patio in its place. In Los Angeles, Starbucks converted a dilapidated former service station from the 1930s, meticulously maintaining its Art Deco aesthetic. I've also witnessed former Waffle House, Dairy Queen, Pizza Hut, Schlotzsky’s Deli, and Backyard Burger restaurants, among others, converted to Starbucks Coffee locations. Dunkin' Donuts, a competitor of Starbucks, has also capitalized on former restaurant space in Atlanta. Dunkin' has previously converted a former Burger King on Piedmont Road and a former KFC on Howell Mill Road. As I detailed earlier this week, Starbucks has a number of new locations in the works around Atlanta including the conversion of a former Caribou Coffee in Sandy Springs. Are you excited to be getting a Starbucks in the area? Do you still miss Wendy's in Buckhead? Do you think this new location would make sense for the "Starbucks Evenings" program? I used to frequent the Peachtree Road Liquor store when I used to reside on 26th St. They always had very friendly customer service and their inventory was second to none for that time period. John, one of the clerks was always ready to help in any way that involved any kind of booze, vino or suds. That building was sort of a landmark back then when the area wasn't crowded as it is today. I could run in to the liquor store, browse thru out, chat with everyone, and be on my merry way without getting stuck in that awl full mess called traffic. These store will be missed as this gets rid of those memories. Why exactly are they presenting this to the Beltline DRC? While it in't far from the Beltline, it sure isn't on it. @Anonymous - Anything within the BeltLine overlay has to present to the BeltLine DRC. It's just not projects that are on the BeltLine. The Wendy's is missed in the area. It was popular among the daily office crowd for lunch. Actually, Wendy's took over for MIAMI SUBS, which originally built and operated in that space. Miami Subs was great and is missed. This area of Peachtree does not need a Starbucks. It needs restaurants that sell Asian food, or a good burger place.